Molders often need to run different temperatures on each mold half to produce the best quality part. 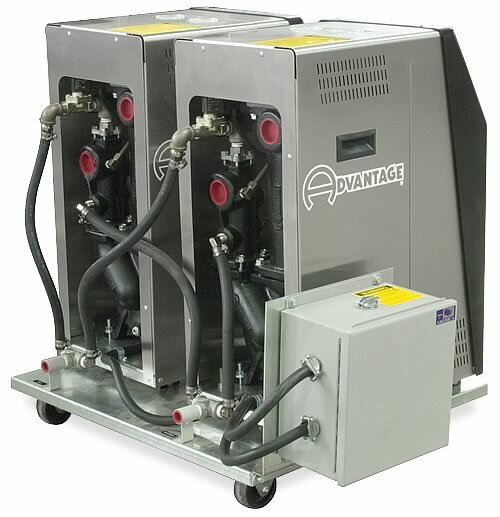 Advantage can provide a dual zone dolly that holds two standard single zone temperature control units. The dual zone dolly provides the convenience of a dual zone configuration while providing the economic first cost and ease of maintenance associated with independent single zone units. Single cooling water supply and drain connections. 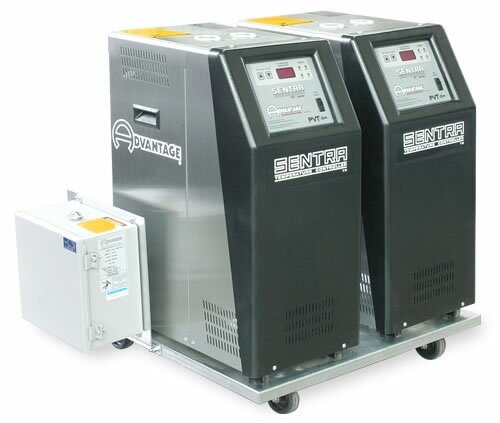 For more information about the dual zone dolly and Sentra temperature control unit call the Advantage Sales Department at 317-887-0729. Would you like to Download FYI #282 to your browser?